Seeing stars and touching door nails so deep??? 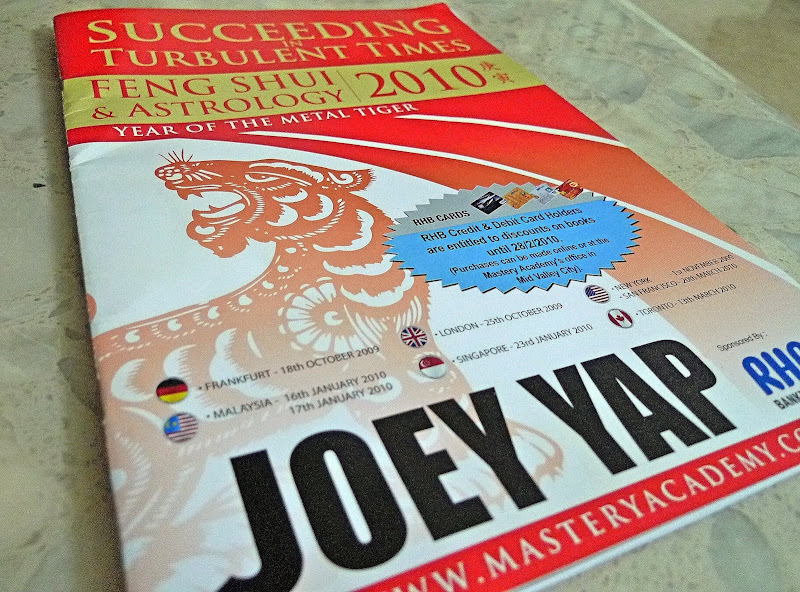 i had been to Joey's seminar in 2007 for the first time. very interesting and bought his books too. Know you are a firm believer of wind water and you attended Lillian & Joey's seminars. How do you reconcile if there are conflicts in their advice? actually i don't normally practice this and won't purposely dig out the Feng Shui book to do it.. maybe somebody tell me and i find it easy then i'll do lor..
the only one i'm very interested is, what is the best day to start work during CNY every year.. haha!! but i guess what is told here is more of a generic type right?? to really benefit one individual, still need to see all those shi chen ba zi right?? so tell me, you also know how to deal with all those shi chen ba zi?? that's cool man..
maybe one day we shall meet up, and you can teach me some Feng Shui stuffs!! i have some interest in that too actually.. Anyway, what if u stay with ur family then you need to make sure EVERYONE Ba Zi chart does not hv those animal sign? O_o. think i only understood 20% of the content. khengsiong, sorry about that! I tried to include as much info as possible but I guess it's just too much for you to digest! SK, sorry for finding it difficult to understand this. Yeah, maybe you should read up some basic feng shui books first. Haha! Best day to start work? I will blog about that in my Lillian Too post cos Joey did not mention about it this time. Yes, you imagined right. I took a compass and walked around my house, haha! Yes, your personal Bazi is more specific for you but then what I mentioned here can be applied by all. cloudia, oh you buy Lillian Too's books? Didn't know you are into feng shui as well! Looks like Lillian has readers from all over the world and as far as Hawaii! foong, i just wonder, instead of feng shui, do you believe in Nostradamus too? Foong, a most informative post. Thank you so much for sharing esp the activation dates for the various elements. However, considering the sensitivity of the need for accuracy, it could be best not to do the activation, IMO. You are supposed to face the Three Killings head on, so it is good to face North and not sit with the Three Killings behind you (ie facing South). Go do some major renovations at the Southwest (Five Yellow), and purposely face the North (Three Killings) during your working hours. Did you mean to say "purposely NOT face the North (Three Killings)....? or am I mistaken? Oops! 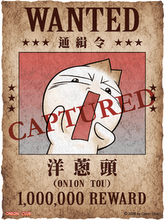 Foong, once again, a great post (graphics, links and all). Looking forward to the write-up on Lilian Too's session. Feb 19, 6th Day CNY, 6.30 am. Clash Horse. Feb 16, 3rd Day CNY, 11 am. Clash Rabbit. Feb 25, 12th Day, 9.30 am. Clash Rat. Whoa a long & deep post not easy to comprehend wind water. Yes saw some numbers, some directions and also stars. Thanks for sharing spent a lot of time & effort. Will slow slow read them. My grand day to commence work is Feb 13 2011. What should I be doing from 14 Feb 2010 until then? Just blog whole year round? i told her i am busy.. later then read la. =.="
i dont know how to do spamming..
levian, at least you manage to understand half of it, haha! What looks promising? The year 2010? happysurfer, you are welcome. You can do the activation for all except the SouthWest sector on Jan 25th if you are not sure of the directions. This is the only one that is risky, the others are OK.
cheahs@n, so you are having holiday for one whole year? Yeah, just blog and blog for the whole year then, haha! donna, still at work at this time? Wow! Why so hardworking? 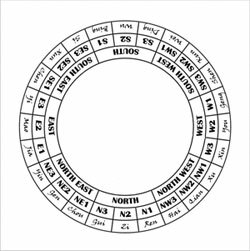 I think it's also important to know that in order for feng shui to work most effectively, you need to delve into your own personalized horoscope based on your birthdate to get an accurate reading AND a good compass to know the directions in your house. What we get on the internet and even seminars are generalized readings for 2010. For the skeptics, I would only say, if you can improve your wealth by simply rearranging your desk to a different direction, why not? A few years ago, I kept getting sick with a really bad cough that came with it. I stumbled upon a web page that talked about feng shui and I was fascinated about the sickness star and how to suppress it. I followed the tip and placed a crystal wu lou in a particular direction of my house. Let's just say, I haven't gotten sick like I did before I placed the crystal. I am a true believer that feng shui and karma go hand in hand. I forgot which feng shui master talked about this but I do remember the core lesson and that is if you accumulated a lot of bad karmic deeds, no matter how expertly you feng shuied your house, you will not escape the calamity which is why feng shui does not work for everyone. 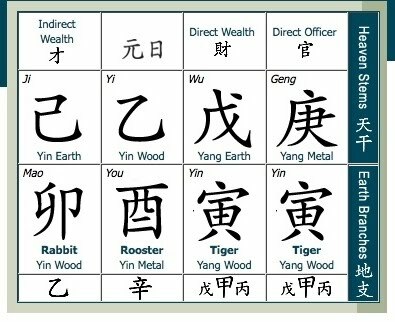 I would rather pay a Fengshui master for a personal assessment because each individual's ba ji is different, so will have a different destiny. walao eh, panda teaching feng shui now!! i went through half of it, then i decided to forward this to my mom instead. xD she has more power over the house's arrangements and stuffs than i am, lulz! and hey, thanks for sharing!! :D that's a really long talk alright! Foong, this is the very first time william is sitting next to me reading blog post leh! And this is the very first time we are both reading your post line by line and up again.. and down.. and up again! rose belle, yes what you get at seminars are generalised advice, for accurate feng shui you do need to analyze your personal bazi. merryn, first time you and hubby reading blog together? haha! So your hubby interested in feng shui is it? Why you don't dare to activate? Go ahead and activate lah, just don't activate the one on Jan 25th cos that one is too risky if you don't get your direction correct. For others, no risk so go and activate at least for wealth. I live in california, United States. I was wondering what time zone you were referring to when talking about activiting those stars? What times would those correspond to my time zone? Just the difference? I hope you can respond to this. Wow! You actually went to both talks. War...you really love feng shui huh. I wish I can go to these talks too bro. Thanks for wanting to share with us bro. So next Mon-tomorrow is the day for us to activate our wealth stars? How? War....so meaning that Joey Yap is more influential compared to Lillian Too lar? So have to use the compass o find out the direction huh! Goodness! I actually read everything...arrghh.....so many things to do. Foong! I'm back! What a long post! I have read all of it and I'm glad to say I sort of understood it. :P Now only I know that Tai Sui and God of Wealth are actually stars as opposed to deity! tekkaus, Joey Yap is getting more and more popular compared to Lillian Too judging by the number or people attending their talks. Yes, better not make noise at the Southwest area to prevent activating the 5 Yellow, one of the most deadliest of all the afflictions. iamthewitch, oh you're back! How's your trip? You understood my post? Wah! Not bad, must be very clever cos most readers don't understand what I wrote! Haha. I think I'll have to re-read this post again later, thanks for sharing all these foong. We reside in an apartment unit so it's hard to get on with these orientations but I will see what works. We are not chinese but we do considere basic feng shui most esp when we design. bluedreamer27, really? Does she still do that now? I enjoyed reading your blog. It got me interested in feng shui once again. Thank you! You did a good job no doubt they are basic advice for 2010. Keep it up. They are a great help to those Feng Shui believer. I stumbled upon your blg quite by accident as I was searching through Joey Yap's infos on 2010 (I saw his Feng Shui talk with Chui Ling on Astro) Now is the the part that always get me confuse. You mention about sitting facing the direction but yet you said our back should be the one facing. Let's take an example. My personal wealth sector is in SW but my bedroom is in the NW sector. So, does that mean I should moved my bed 'Chong Tau' facing SW and sleep with my head pointing that direction? It's like the more I read the more confuse I get on this FengShui. Too baffling! Hope you can bring some light to this matter. Fengshui is applied to living space as well as your own. There's the Ba Zi of the Current Year and the Ba Zi based on your birthdate. Think of it as Birthdate. By analyzing the Current Year's Birthdate, you get to know what kind of personality and characteristics that year will have. Same things for your own Ba Zi. Now these two are TIME-related. There's also the SPACE-related fengshui, like your house. This is where the Flying Star Fengshui is used. 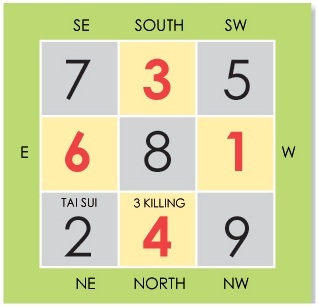 I always think of Fengshui as the Science of Time and Space governed by the 5 Elements. It pays to understand the 5 Elements so that you dont spend a fortune on the annual cures, enhancers, etc. Now back to your question. I will use an example, let's say I am a West Group person and my BEST DIRECTIONS according to the KUA NUMBER which is derived from my Birthdate, are: NE / W / SW / NW. Assuming NE is my PERSONAL Wealth direction, I should face it wherever I sit/stand/squat etc. so things, anything happen in my favor. However, in 2010, the Flying Star Fengshui sez that facing NE is totally BAD because Mr Grand Duke Jupiter is sitting/hovering/controlling the NE area. I just have to STOP FACING THAT DIRECTION FOR THIS YEAR ONLY. This year means, the whole Tiger year, until the other animal year starts. So if I cant sit FACING NE, that means I gotta sit facing SW which is the direct opposite of NE. If I sit facing SW, that could only mean my back is facing Mr Grand Duke Jupiter (also called sitting but I think it should be termed rear-ending hahahahaha). So I'm safe right? Next, I gotta check if SW is actually a GOOD direction for me. Yep, it's my third best direction. So I can in fact sit facing SW. If it's not, just find the next best direction from the list of 4 directions given. Use your compass to to get the exact directions. Another scenario. Let's say right across my SW-direction, there's a cupid statue with his arrow pointing right at me. Bad fengshui as it is sending me the Killing Energy. What am I to do next? Again, I will have to find the next best directions. OK now moving on, let's say in that whole office, you happened to be placed at the NE-corner of the entire office. What to do, what to do? Simple really, follow the same tips - no noise, groundbreaking, knocing, and know the elements that reside in the NE this year so you can 'pacify' the area**. And again, be seated while facing my best directions other than NE because NE is afflicted. ** The importance of knowing elements:- Let's say Area X is Wood based on the Flying Star Fengshui for THAT HOUSE/UNIT/BUILDING. And Area X is VISITED by a star that has the element FIRE and let's just say (again) that this Fire Star is terrible. Now how to control FIRE? Therefore you must put Water element in Area X. Can I know the activation date for March, does it affect sector 1,2 or 3 or all/any of that area? I am gonna do that one as I failed to do my spring cleaning this year and 'rehew' the house energy before Feb 4th. Thank you so much for providing a detailed review of Joey's seminar. I attended 2-3 previous ones and enjoyed it. I couldn't attend this year and your detailed summary has been really helpful. I wish I came across it earlier, but it's not too late to make good use of the activation dates. Does all these renovatiion staffs applicable, if you are buying over a pre-occupied house, do some renovation, then only move in to stay? If yes, what needed to be done or avoid, if you really need to renovate at those areas under The Five Yellow, The Grand Duke & The Three Killings, before you can move in for practical reasons? Any difference, if renovation carried out before property title got transferred? How do we know whether the former owner did any renovation in these sectors during 2010? If they did, is it going to affect the new occupants? 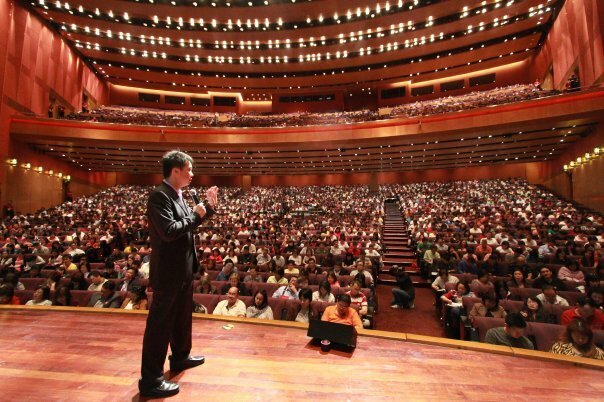 I would like to enquire, the slides being shown during the fengshui talk, isit bilingual? Thank you so much.